If you are looking for the most self-referential musical around, then look no further. The Noteworthy Life Of Howard Barnes is here to fulfill all of your needs. It is a new, ambitious, well-executed musical that recently debuted at the Village Theatre. It is a remarkable body of work, especially impressive for a regional theater company. Written by Christopher Dimond, with music by Michael Kooman and direction by Brandon Ivie, this show is a must-see production reminiscent of Something Rotten. The Noteworthy Life Of Howard Barnes tells the story of the most ordinary man to ever live. Nothing about his life is inspired, remarkable or exciting. When Howard receives a mysterious letter in the mail, his ordinary life suddenly transforms into a musical. The thing that makes this production so especially is how referential, meta and self-aware it is. The show frequently plays with tropes found in musicals, re-imagining them in clever, refreshing ways. For example, the majority of the plot reviews around how to navigate through a typical American musical. The character are aware that they are trapped in a musical, which creates many opportunities to poke fun at the traditional limitations of musical theater. Some of the best moments of the show occur when The Noteworthy Life Of Howard Barnes makes fun of many other beloved American Musicals. Many musical numbers reference The Book of Mormon, Chicago, Fiddler On The Roof, Wicked, Hamilton, The Wizard Of Oz, Mean Girls, and many other iconic productions. 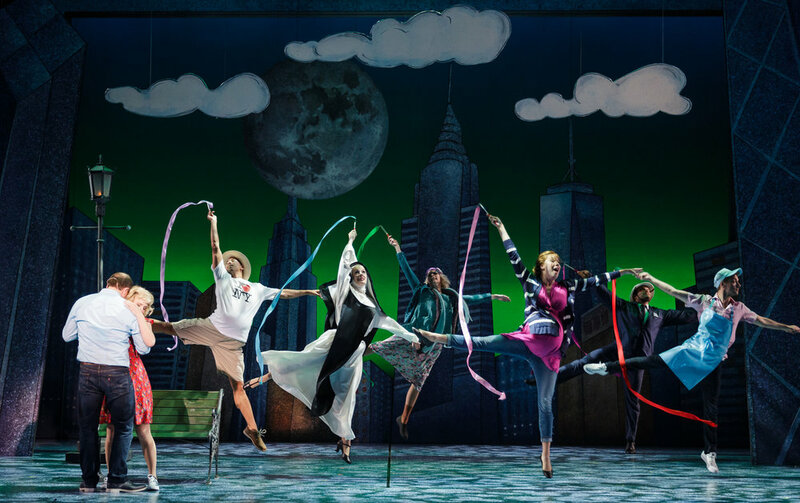 This clever show is at its best when it pokes fun at the cliches found in musical theater, while blending those cliches together and in an unexpected fashion. The show itself is well cast. Joshua Carter is outstanding as the titular Howard Barnes and Taryn Darr is brilliant as Barnes’ love interest, Maggie. Many of the supporting roles are small, but the actors make the most of their limited stage time. The show itself progresses at a brisk pace- just 95 minutes without an intermission. The short length of the show works in its favor. Only few moments of the show tend to drag on, as the plot jumps from song to song. The score is memorable and melodic, the choreography is entertaining and a last minute plot twist catapults the show into a deliciously entertaining realm. Overall, The Noteworthy Life Of Howard Barnes is another resounding success for The Village Theatre and for the Seattle theater community as a whole.